Being stuck in a rut, not knowing who you are, not knowing what you want to do with your life, not knowing what you're passionate about, or feeling worried, anxious, and disconnected all the time is NO FUN. But that was me up until about 4 years ago. Completely and utterly lost and confused. Because this confusion was the "norm" for me for most of my life, I became really attracted to personal growth and figuring out who the heck I am and what I want to do with my life. I wasn't willing to settle for this miserable, disconnected, and purposeless way of being. I was always able to imagine and envision more, and I always felt that there was more. So I became obsessed with self-discovery. This eventually turned into an even deeper journey of soul searching to find who I am on a more essential and spiritual level. And in 2014, when I was 28, it happened. I had an awakening. I FOUND MYSELF. All of the puzzle pieces came together. I'm almost 32, and many people tell me that I'm so young to have gone through such a transformation. And I agree, sometimes I think of how fortunate I am to have gotten such an early start. But then I think to myself... I worked REALLY HARD for this. Like diligent, relentless, obsessive personal growth type stuff. So when I think of this, I'm not surprised. I really wanted this, and I found a way to get it. The point is, it's not about how old or wise you are, or even how special or lucky you are, it's about how committed you are to this journey, and how willing you are to do the consistent inner work of finding yourself. For me, it was a no brainer. I would rather face my inner demons and pains in order to find the truth underneath, than to live in the pain of being anxious, lost, and unfulfilled my whole life. And of course, the journey of "finding yourself" is never actually over. It's a life long process but the more you know, the happier you become. And my NUMBER ONE TIP for doing this is to NEVER STOP learning about yourself from all angles, on all levels, in all situations, and from all perspectives. 1. The biggest thing that changed right away is my perspective on life. It's like my mind opened and I was able to see everything clearly. This means being more positive, as well as more aware of what is actually going on in the world. It's as if ignorance was no longer an option and I saw things for what they were. This included our society and the way we're brainwashed, as well as my own ego and conditionings. But this was great because I was able to separate myself from the societal imprisonment and the pressure to fit in and actually live my life for me, and it meant that I was able to shed my false layers and conditioned mindsets and start being more of who I truly am. This new perspective was really the foundation for the rest of the life changes that followed. 2. I "found" my passion and purpose. My passion is something I had been searching for for over a decade. And naturally, it was right under my nose. My passion, as I soon discovered, was personal growth AND teaching it to others. Both of which I always gravitated towards; one personally, the other professionally. I not only realized that this is my passion, but that guiding people to connect with their true selves is my PURPOSE. The reason I know that this is my life purpose is because if I imagined my life without it, as in holding back this wisdom and truth from other people, my life would have no meaning. In my opinion and in my truth, THIS is the missing piece that everyone needs in order to find true peace and happiness; to find their authentic selves. 3. Self-confidence, self-love, self-acceptance, and self-trust. That's a mouthful I know, but seriously, let's just start with confidence. You don't understand the confidence you start to have in yourself once you know your truth. The reason that we lack confidence is because we give the world too much power to define us and to control us, most likely because we don't know what it is we want or who it is we are. When I connected with myself, confidence just sort of followed, and so did self-love, self-acceptance, and self-trust. Once I became comfortable with my flaws and imperfections, I started to love and accept these parts about myself. And because I'm aligned with my truth, I'm also in touch with my inner wisdom and I TRUST myself when making decisions instead of having to rely on the world to tell me what's right or what I should do. 4. The courage to go after my dreams. Don't get me wrong, I've always been a big dreamer. When I was young, I always imagined my adult self as a peaceful person, carefree, financially abundant, and making a difference in the world. So I HAD dreams. However, I never had the courage to go after them, nor did I know enough about myself to identify HOW I would make that happen. But almost immediately after my awakening, I started thinking big. It was the weirdest thing. There were no limits anymore. Anything was possible. So the first thing I realized is that I no longer want to live where I lived for the last 19 years of my life which was Chicago. The option of moving NEVER crossed my mind before mainly because my family lived in Chicago who I am super close with. But something changed in me and I wanted to spread my wings and be free. The other big change was figuring out what I wanted to do with my life, which was basically the HOW part of fulfilling my dreams. And this is when I discovered Marie Forleo's B-School, which basically teaches you how to turn your passion into an online business. For YEARS I searched for careers that would suit my interests and personality and found NOTHING. They were all too limiting and restrictive. 5. Once I connected with who I truly am, it became so much easier to practice discipline and self-control and to cut out unhealthy habits. 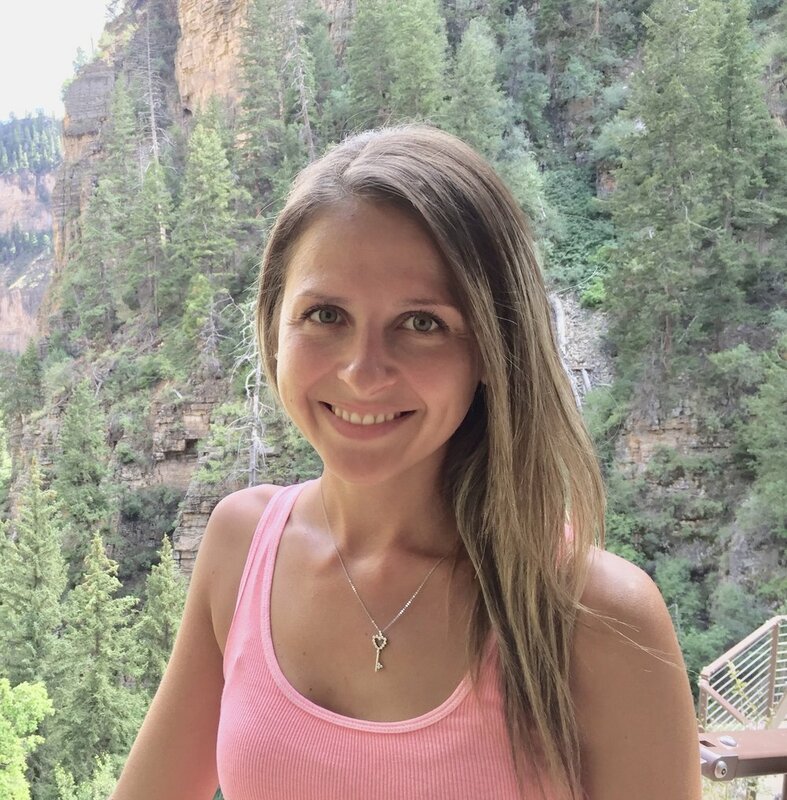 Being more spiritually aligned, I became a lot more sensitive to the negative effects of my bad habits, and I also felt more in touch with my body and didn't want to poison myself anymore. So I stopped drinking alcohol, an addiction I struggled with quitting for several years, I stopped drinking caffeine as I realized it was making me anxious and nervous, I stopped eating animal products and started eating a lot healthier, and I even started exercising on a regular basis, something I could NEVER get into before. I mean this is crazy. The amount of things I have been able to change and STICK TO with regards to my health is unbelievable, and all because I am more aligned with my true self. 6. I am more mindful and conscious in my everyday life. Believe it or not, I used to be a pretty angry person. I had a very short temper and got frustrated very easily. I was very impatient and reactive and couldn't really control my emotions. Now, I'm so much more self-aware and just overall more calm and able to see things from a higher perspective which allows me to refrain from acting all crazy. Because I understand myself better, I also understand other people better, and I can identify when they're acting out of conditioning, and when they're being authentic. This allows me to not get lost in their drama. With regards to life, I am so much more connected to everything around me and this helps me remain calm and collected even when annoying things happen. I'm connected to a higher truth, therefore, I KNOW that the experiences I have are either lessons, opportunities for growth, or chances to try on a different perspective. Would you like to experience the beautiful benefits of knowing your true self? 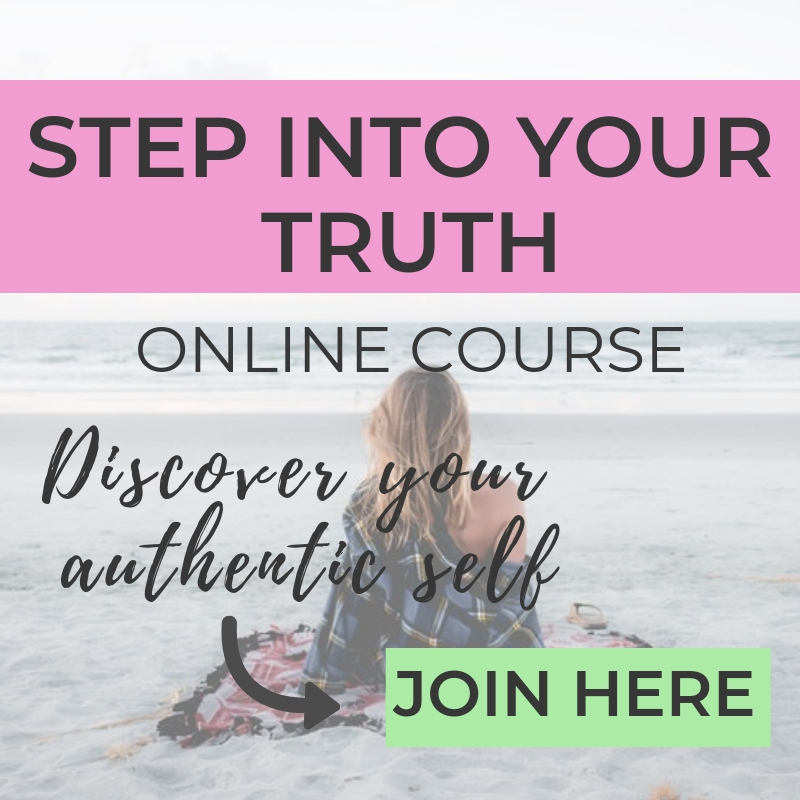 Check out my online course Step Into Your Truth to get the guidance that you need! You will learn all about yourself and discover who you are, learn to express yourself authentically, and create a life that aligns with your truth so that you can live in peace, joy, and freedom. 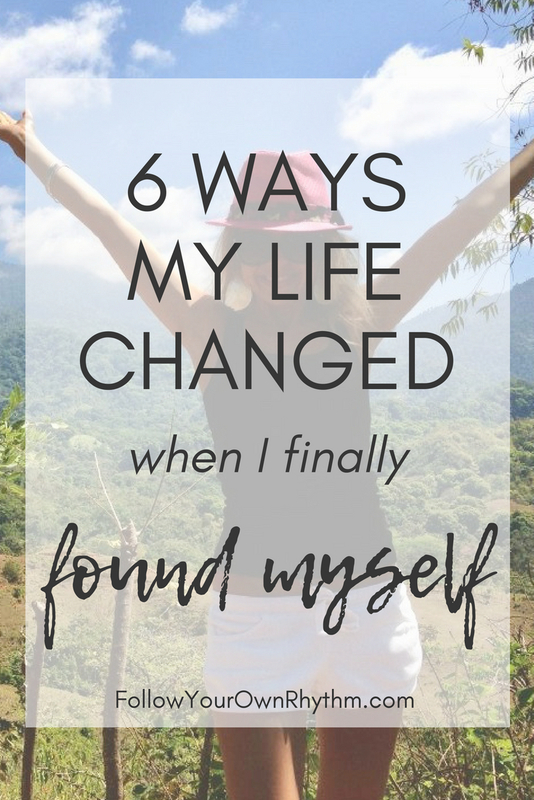 Overall, none of these life changes would be possible without the personal growth, self-discovery, and soul-searching work of finding my authentic self. I believe that knowing who you are is the foundation for a happy, successful, and fulfilling life. As you can see, once I "found myself," everything around me started to shift and change. Everything just came together. Everything fell into place. Solutions appeared. And my life started to make sense. And it all happened naturally and organically. I didn't have to force anything. I believe that this is why it's so hard for most of us to make changes and stick with them, or to find our passion or ideal careers, or to just simply be happy.... it's because we try to solve our problems at a surface level rather than tackling the root problem which I believe is a disconnection from our true selves. Because once you find your true self, everything on the outside naturally starts to shift. Taking on this journey is one of the most rewarding, liberating, and powerful things you can do. And that is what we do in this community. We find our truth, we learn how to embody it, and then we go on to live happy and fulfilling lives. READY TO GET CONNECTED TO YOUR TRUE SELF? 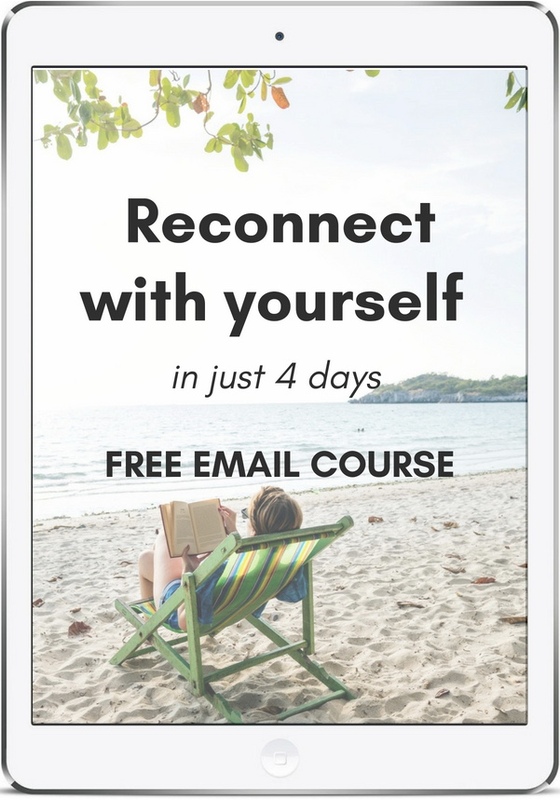 Sign up for my FREE EMAIL COURSE where you will be guided to reconnect with yourself through powerful lessons and exercises in just 4 days. 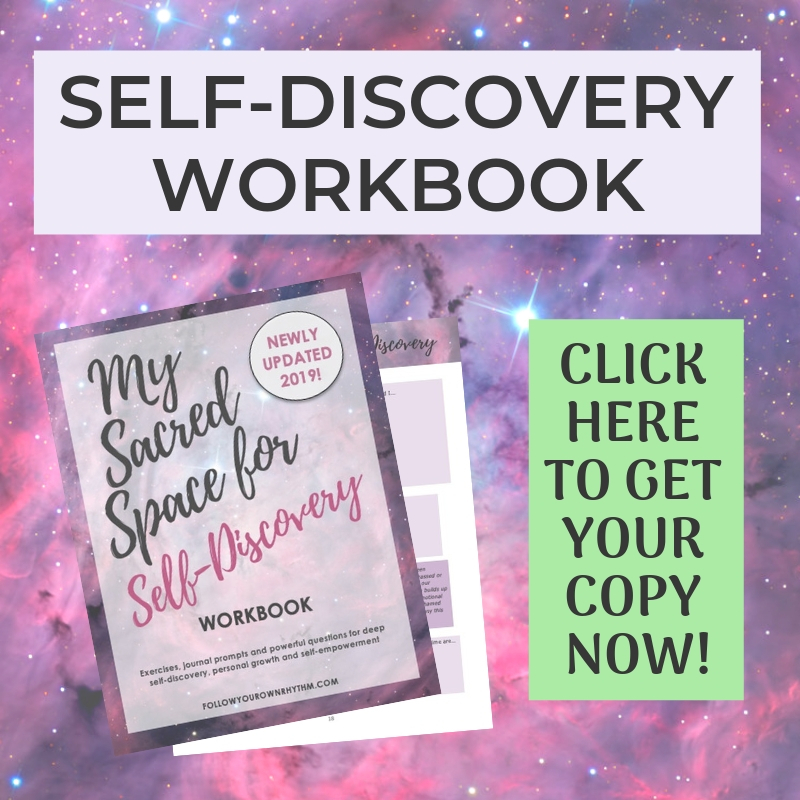 Get ready to feel lighter, more centered, rejuvenated, clear headed, and connected to your true self so that you can start to make positive changes in your life! sign me up for the free e-course!